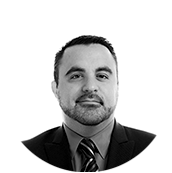 Mike is a Partner and the Chief Technology Officer for Liberty Advisor Group. He is outcome focused and leverages his extensive experience in enterprise architecture strategies to advise organizations and senior executives throughout his career with numerous digital transformations. Mike brings to the table a great mix of strategic thinking with deep technical skills. He has the experience, insight, and drives to understand what needs to be done quickly and reliably make it happen while ensuring a foundation for broader strategic and architectural needs recognized. 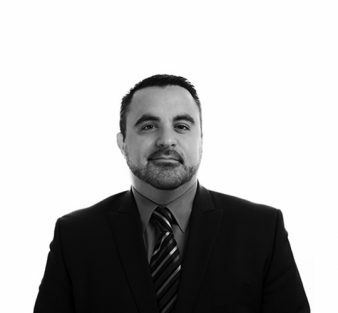 Mike has 19 years of consulting and operations experience with an emphasis on digital transformation strategies, supply chain optimization, ERP readiness and M&A divestitures and integrations. Having lived and worked in multiple countries and continents throughout his career and recognizes the organizational change and cultural balances that are required when helping an organization transform and grow into their desired outcomes. Mike joined Liberty to be an advisor to senior executives and their organizations by applying his expertise and insight to assist them in making the best informed strategic decisions. Zero-based budgeting starts from zero and calls for a justification of old, recurring expenses in addition to new expenditures. 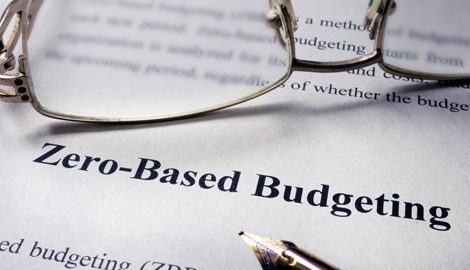 Zero-based budgeting aims to put the onus on managers to justify expenses, and to drive value for an organization by optimizing costs and not just revenue. Is this budgeting approach right for you? Review Liberty's 4 step process to implement this zero-based budgeting process. Traditionally, IT budgeting takes more of an accounting approach that merely adds funds on the prior year’s budget for undetermined uses. “We just add 3%-5% to last year’s budget and adjust from there”, sound familiar? 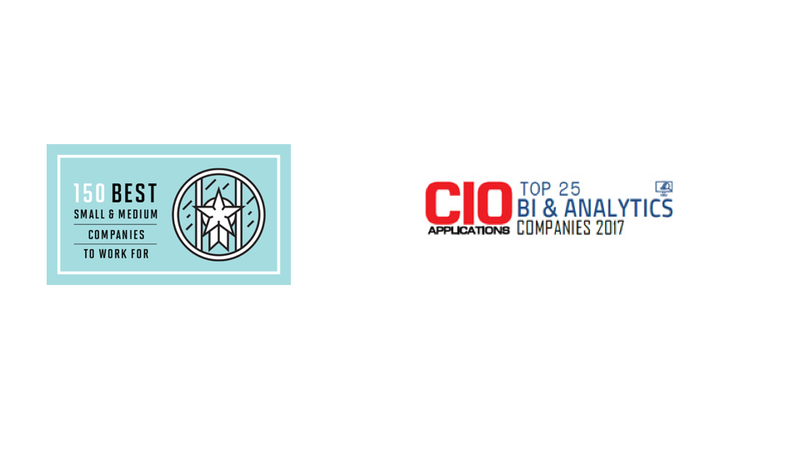 Typically, an IT leader subjectively ranks and prioritizes both business and internal IT needs against a non-fact and outcome-based funding number. Doing so requires justification for only variances versus results from the preceding year based on the assumption that a “business-as-usual” budget is automatically approved. 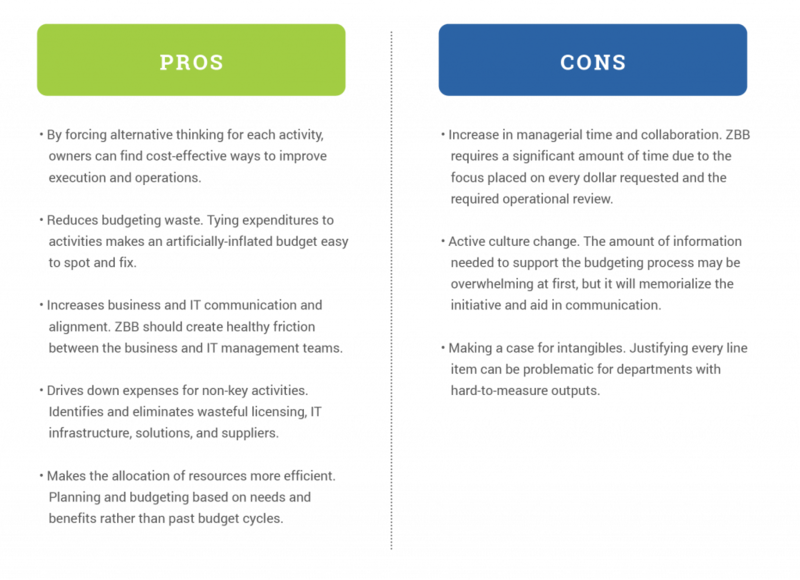 Rather than budgeting-as-usual, ZBB is a decision-making approach that requires the approving and tying of every line item in the IT budget to a business outcome. The ZBB method opens with no assumptions about what level of funding it will take to RUN, GROW, and TRANSFORM the business for the next twelve months. The budgeting process is therefore entirely independent of whether the budget or specific line items are increasing or decreasing but is the starting point for a fact and outcome-based discussion. 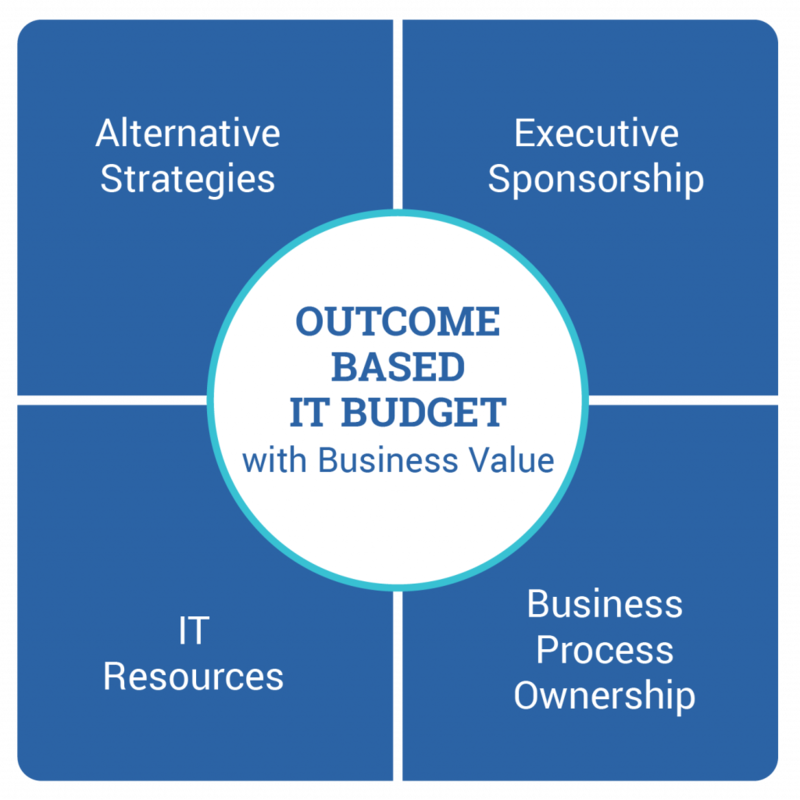 Adopting an outcome-based ZBB approach for your IT department may seem like an intimidating task, but when weighed against the strategic value of having IT aligned with business objectives, the effort is well worth the results. When looking at your in-flight projects today, would (or should) any of the organization’s strategic initiatives make one of the selected IT initiatives obsolete? Where should you prioritize your security, compliance and customer mandated projects? Implementing outcome-based ZBB for an IT department involves these key steps: 1. identifying and aligning business objectives, 2. evaluating alternative ways to accomplish each objective, 3. defining and agreeing on funding sources, and 4. setting priorities. The purpose of the process is to drive and align focus on key objectives to eliminate activities no longer relevant to those objectives supporting the desired outcomes. Start with outlining the organization’s directives and understanding of the desired outcomes. ZBB concepts should be outlined and presented to all levels of an organization so they can begin to develop and collect proposals for spend. After completing that exercise, organize proposals by their importance. Next, shift proposals upward for more intense study and judgment by top leaders in the organization. The primary difference in this process is that every dollar of IT spending should go through the same rigorous review process. “How?” What are the approaches to accomplish the objectives? When developing a proposal, define the details at a level that helps with organizational comprehension. Only in this manner will the owner be able to formulate meaningful alternatives. Initiative and business process owners must look at all methods and choose the alternative way of achieving the objective they prefer best. “How much?” What are the costs for the outcome? Initiative and business process owners will establish a minimum level of effort and then break out additional levels of funding for evaluation. Reviewing all funding levels may lead to a modification or redirection of selected submissions. This effort helps push initiative owners to rethink their estimates upfront and add validity to the overall process. “When?” In which quarter do we expect to start and when should we see the outcome? Using a ZBB approach is a repeatable process that forces alternative thinking in setting yearly budgets. ZBB can drive significant and continual savings by building a culture of cost accountability at all levels of the organization. 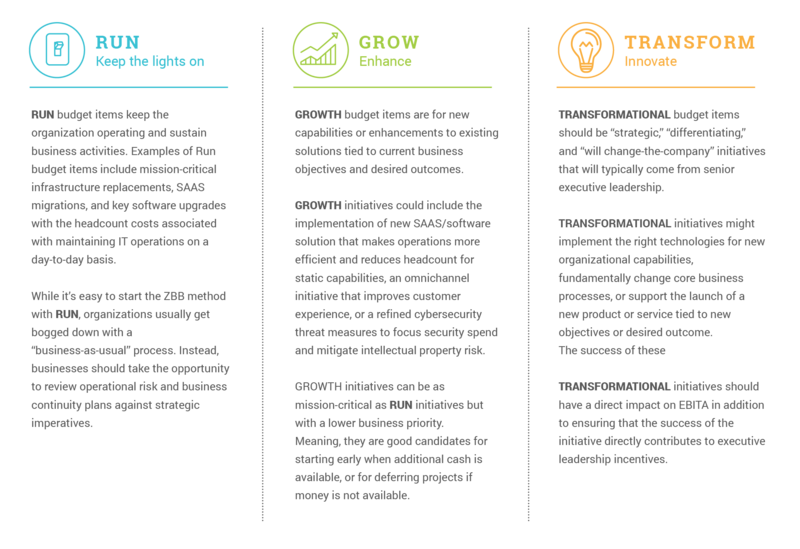 The ZBB approach allows organizations to realize bottom-line savings, improved organizational efficiencies, improved organizational alignment and drive measurable future growth. Liberty can help your annual planning process for IT by pragmatically redesigning a cost structure to drive Business/IT alignment and value. Let Liberty help your annual IT budget planning process by designing a cost structure to drive alignment and value.